Ryan Couture continues his father's legacy, as he faces Matt Ricehouse on Strikeforce Challengers 16. 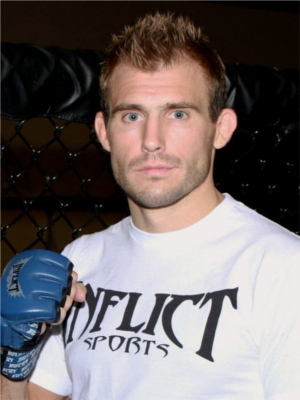 Following his father’s footsteps, Ryan Couture – the son of UFC Hall of Famer Randy Couture – will face Matt Ricehouse at Strikeforce Challengers 16 on June 24 at Kent, Washington. The said event will flag a Caros Fodor vs. James Terry bout as the main event. Last August, Ryan Couture defeated Lucas Stark through a triangle choke within 75 seconds. After his first MMA victory comes a submission win over Lee Higgins last February. Meanwhile, Matt Ricehouse – who is also a newbie in the MMA – has just started fighting as a pro in January last year. He already fought twice on Strikeforce undercard. Matt Ricehouse’s 4-0 record is composed of two knockout decisions, one decision and one submission wins.